A few bits and pieces to share this week. I picked up this desk at the swap meet a couple of months ago but it's been in the garage ever since. This past week I went on a bit of a cleaning frenzy and made some space for it in my craft room. 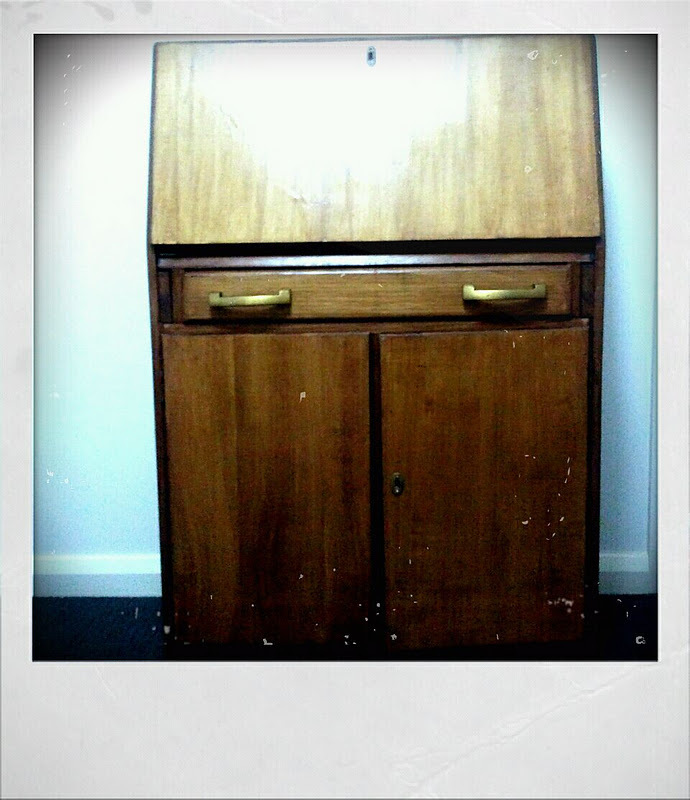 The question now though...to paint or not to paint? It was $50 but as I ummmed and ahhhed, the seller told me he was not taking it home and I could have it for $30. My brother in law happened to be having a stall at the swap meet so I sweet talked him into picking it up and taking it home for me. Funny, I was watching the highlights of the local news that night and they had a story on the swap meet. Lo and behold there we are, my brother lugging the desk back to his car and me running along behind yelling out support;) Very funny! 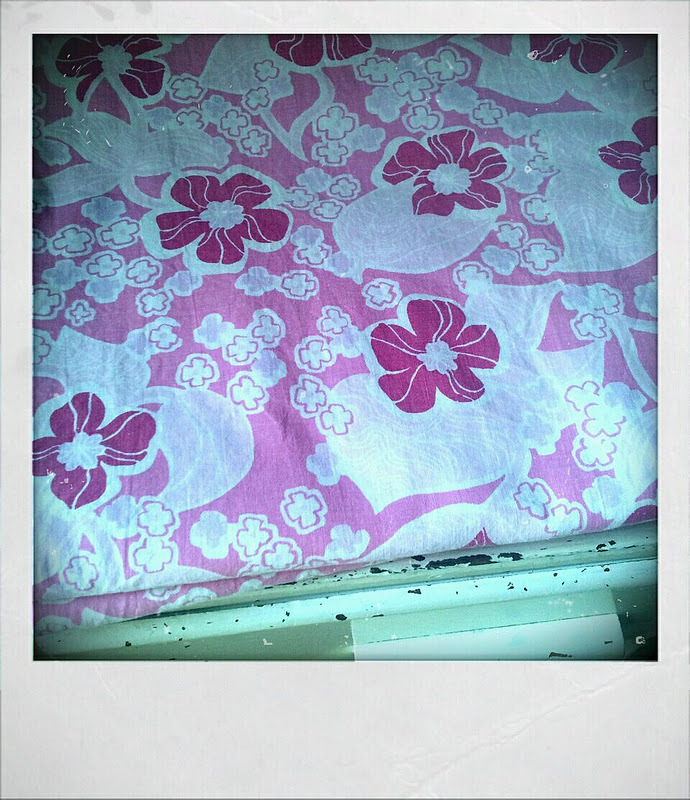 Thrifted this week a couple of pink sheets for $2, one to keep and one for this swap. Are you joining in too? 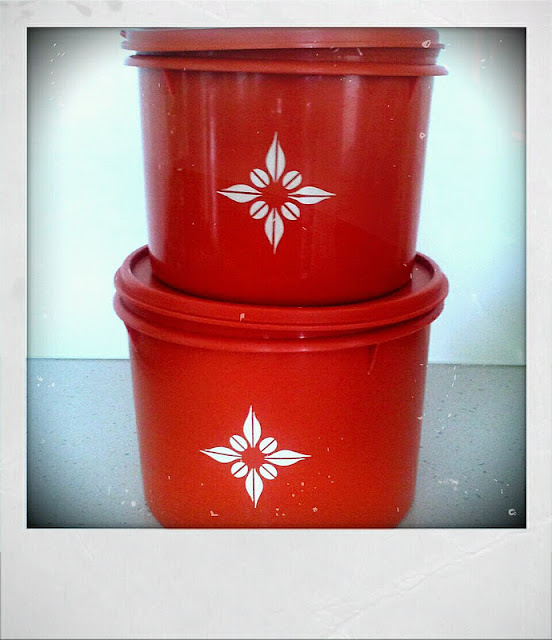 Some handy dandy orange tupperware, just .50c each container and it superb condition. And my very favourite thing...this gorgeous piece of milkglass. I love everything about it. The roses design with the stripe and the beautiful scalloped edge. I think after this piece I have decided to officially become a milkglass collector. Oh and the price, just $6! I hope the thrifting fairies have been good to you this week too. For more op shopping treasures, have a peek at Her Library Adventures. Yes become a milk glass collector, trust me you wont be able to help it when you see it. 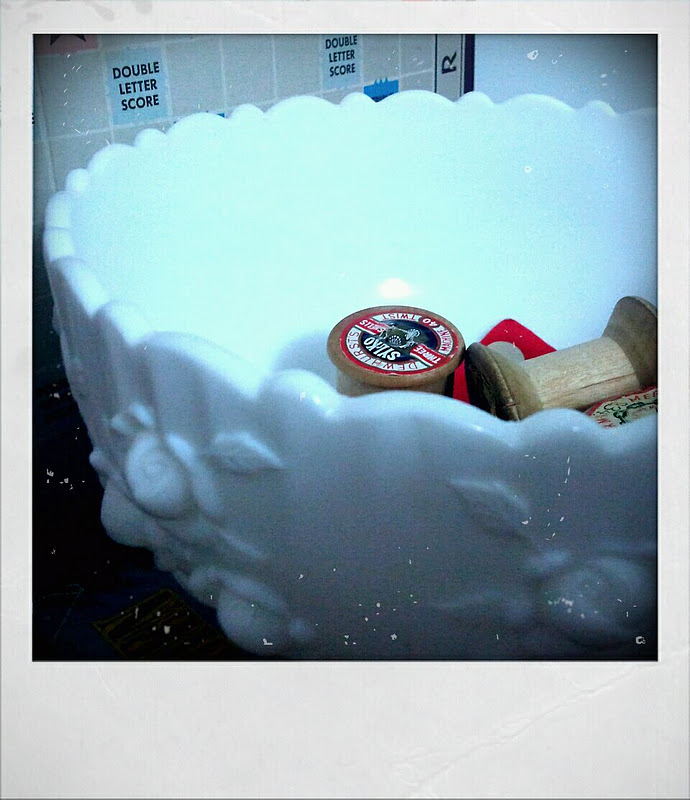 I never seen milk glass with a design before. Great finds! 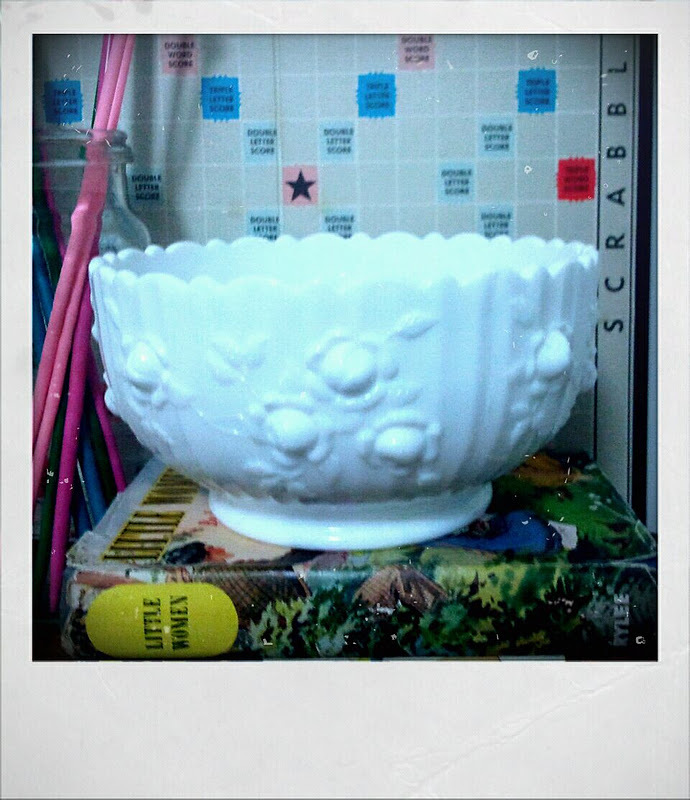 All fabulous Lea, especially love the Milk glass of course. Great Tupperware too. How funny to see yourself on the news! Every time I used to go home to Grafton it seemed I ended up with my picture in the paper. HAHAHA! Ooh great finds once again Lea! How funny that you and your brother were on the news with your new desk! LOL Love your new milk glass!